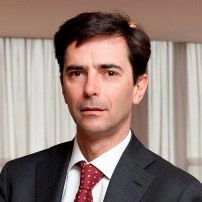 Secretary General of the Autorità Garante della Concorrenza e del Mercato since December 2011. Judge at the Supreme Administrative Court (Consiglio di Stato) since February 2000 and President of a Section of the Supreme Administrative Court since February 2017. Previous positions: Judge at the First Instance Administrative Court (TAR Lombardia) (1998-2000); Judge at the Court of Auditors, appointed to the Trento office (1997-1998); Civil Judge (1991-1997). Lecturer for university and post-graduate courses on administrative law and antitrust law; co-editor of specialized legal journals, author of more than 50 publications in the administrative law sector, including R. Chieppa, Studi di diritto amministrativo (Studies on administrative law); R. Chieppa - R. Giovagnoli, Manuale di diritto amministrativo (Guide to administrative law); R. Chieppa, Codice amministrativo commentato (Annotated administrative code), R. Chieppa, Il Codice del processo amministrativo - Commento a tutte le novità del giudizio amministrativo (The Administrative process code - Commentary on all new aspects of administrative proceeding); R. Chieppa, Il processo amministrativo dopo il correttivo al Codice (The administrative process after the amendment of the Code), Milan, January 2012. Appointed by the Ministry of Regional Affairs as a member of the Committee for implementing the special Statute of the Valle d'Aosta Region and as an expert on issues concerning liberalization of public services and the reform of the local administration. Member of the simplification and regulatory reform Committee, established at the Presidency of the Council of Ministers. Collaboration with the "PHARE Twinning Project on competition", financed by the European Commission to address Romania's entry into the European Union, teaching antitrust law in Bucharest. Author of the several publications on independent administrative Authorities. Speaker on antitrust issues at several conferences.